For Catholics, the Sacrament of Baptism is the first step in a lifelong journey of commitment and discipleship. Whether we are baptized as infants or adults, Baptism is the Church's way of celebrating and enacting the embrace of God. Click Baptism Application to download and print our baptism application. The Catholic Sacrament of Reconciliation (also known as Penance, or Penance and Reconciliation) has three elements: conversion, confession and celebration. In it we find God's unconditional forgiveness; as a result we are called to forgive others. Our weekly reconciliation is Saturday in the church from 3:30pm-4:00pm. You are also welcome to schedule something with Father Eric. To do so please contact him via email at eschild@cardinalstritch.org or call him at 419-666-2857. 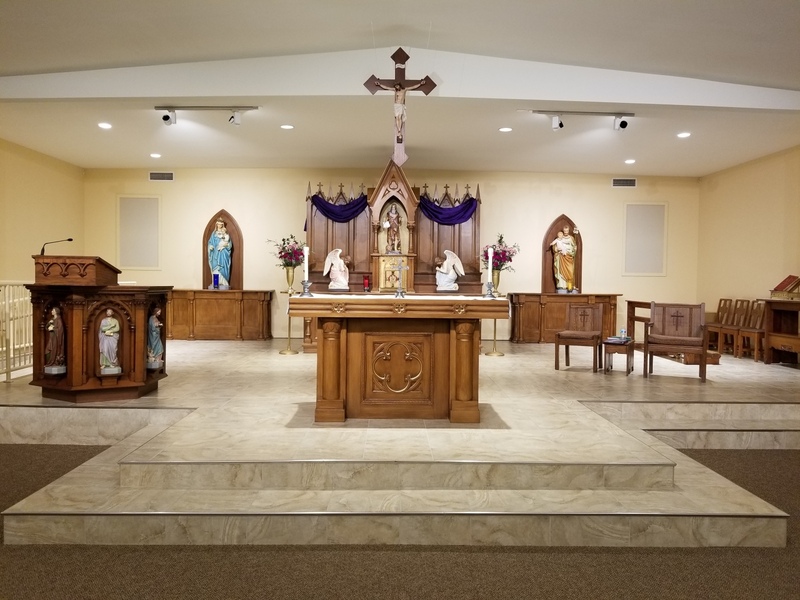 For more information on any of the sacraments or to schedule any of them, please contact the office at 419-666-2857 or email at office@stjeromewalbridge.org. Thank you!